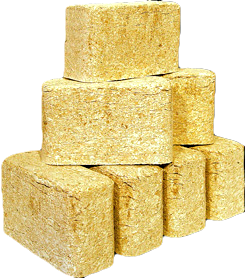 These briquettes,are indeed a pleasure to use, easy to store,easy to light,and they certainly burn longer and hotter than logs. Much cleaner to handle than logs ,,plus ,you won't find any nasty insects in amongst them ,unlike cut logs of wood. I will certainly be ordering some more very soon from your helpful team.